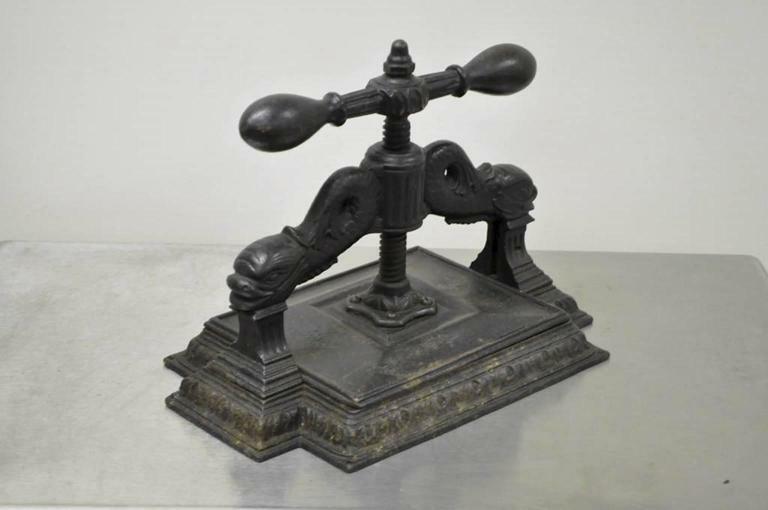 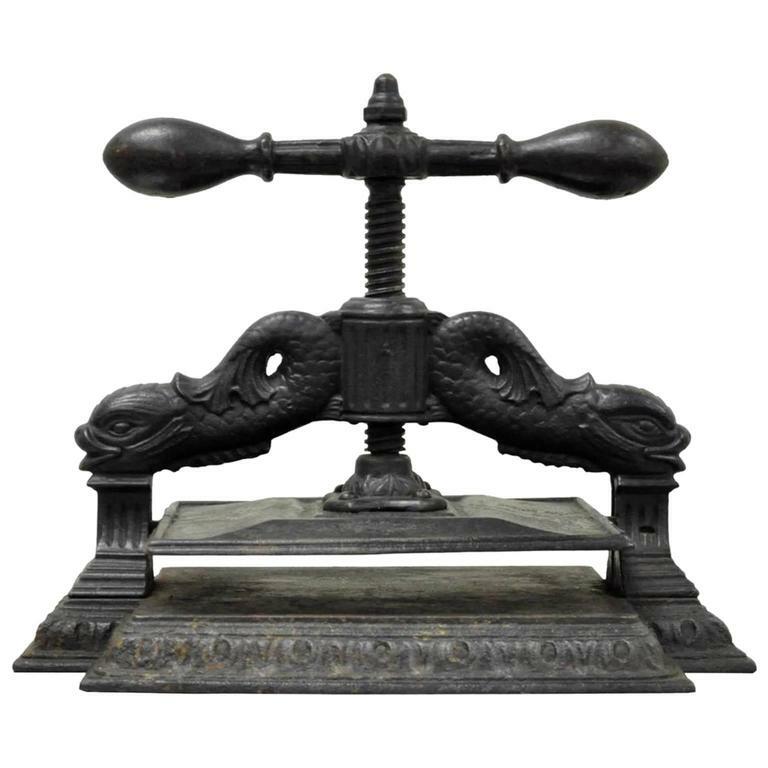 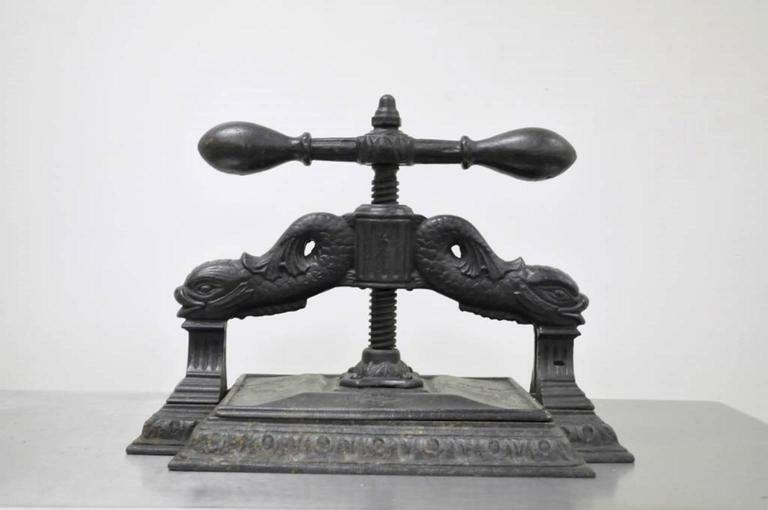 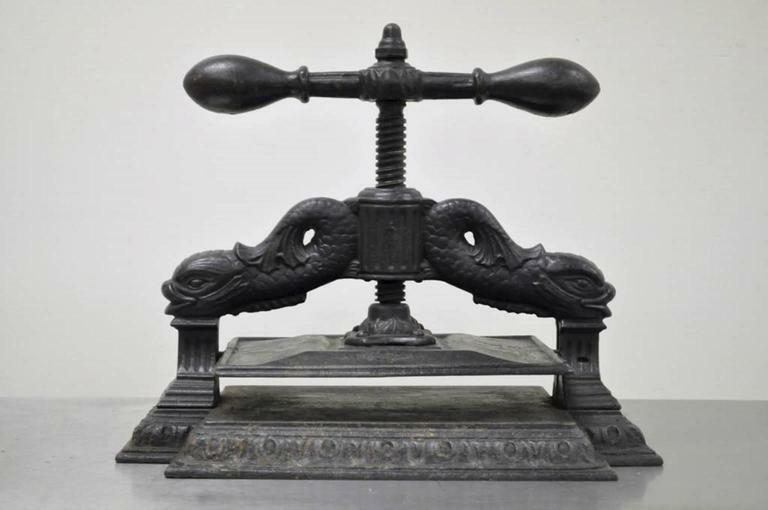 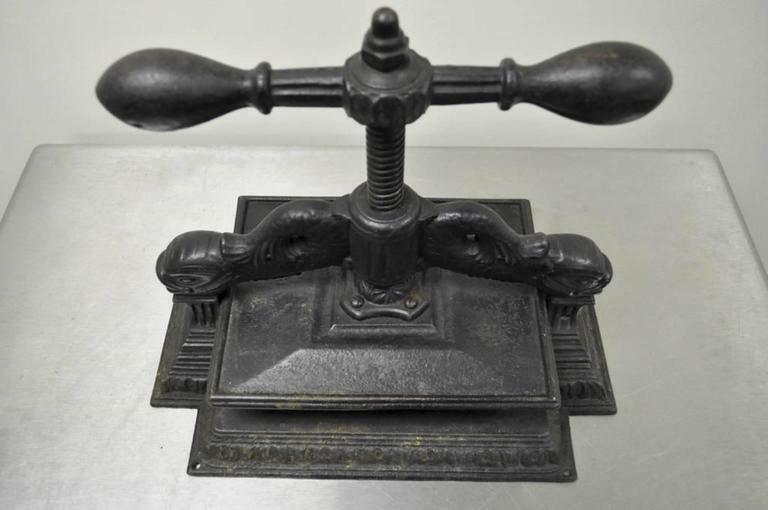 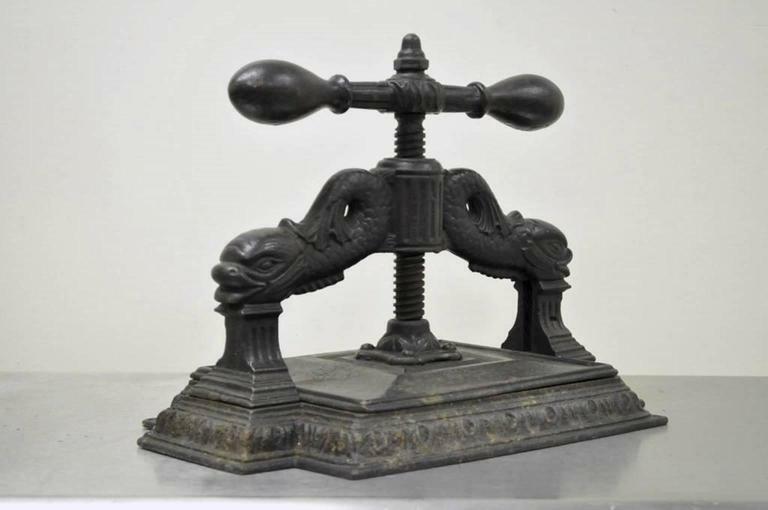 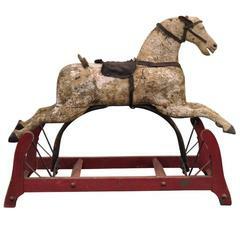 Very unique and historically important antique cast iron dolphin book/copy press. 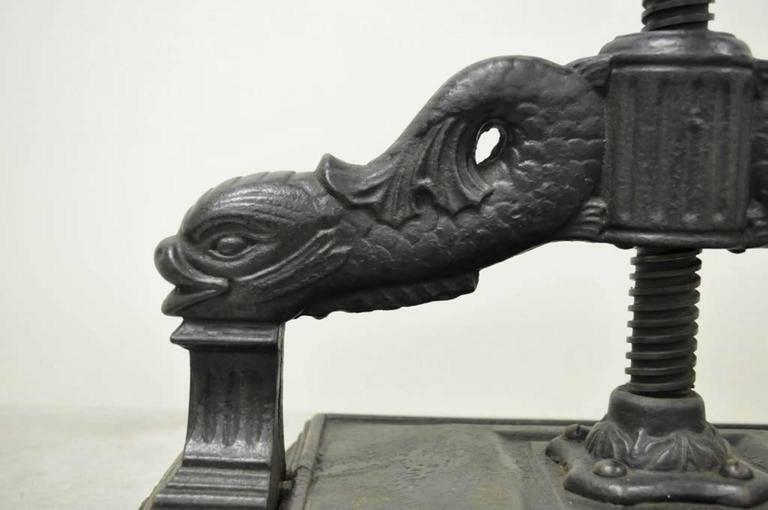 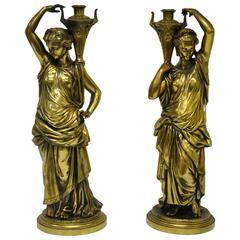 The piece features intricate supports with dolphins and fluted columns, and acanthus accented base. 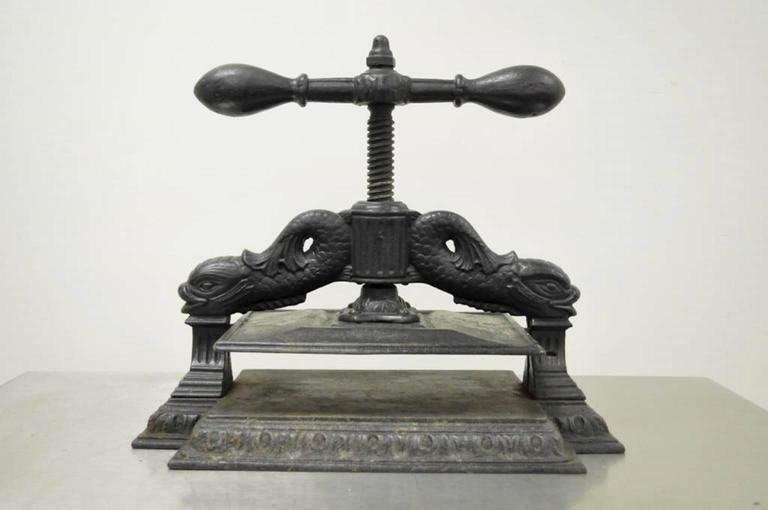 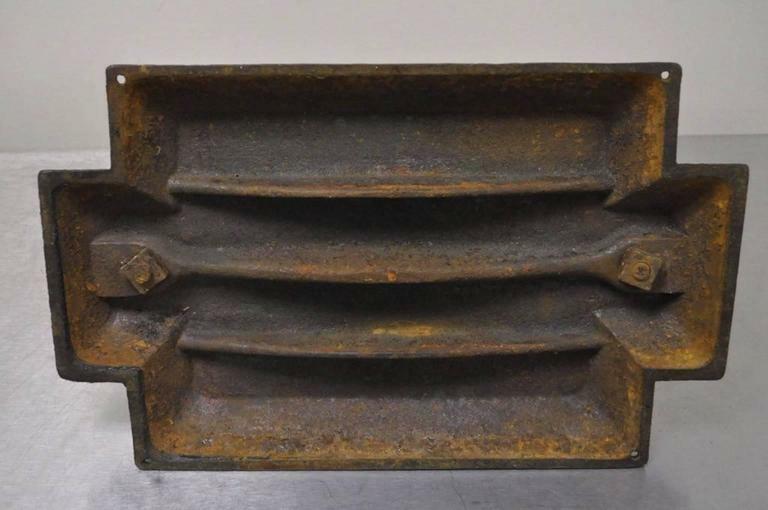 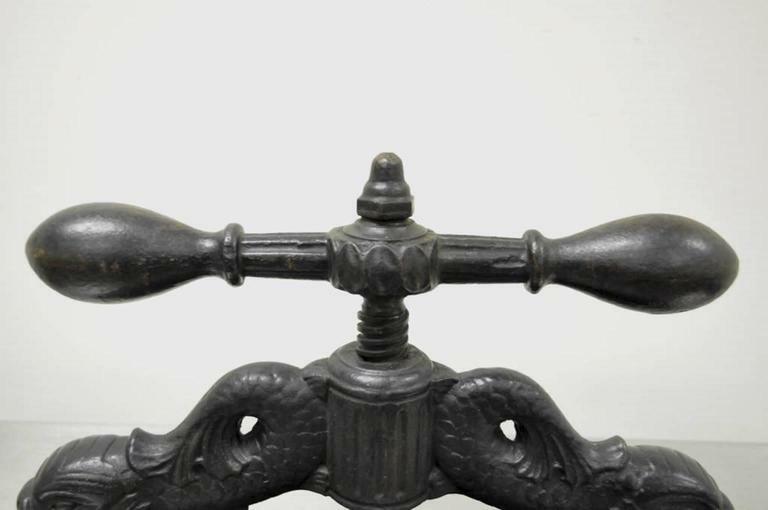 The press is very substantial and heavy, and though it does not have any markings, it is believed to be by Russell Erwin Manufacturing Co.
Late 19th century, Industrial, brushed steel book press.